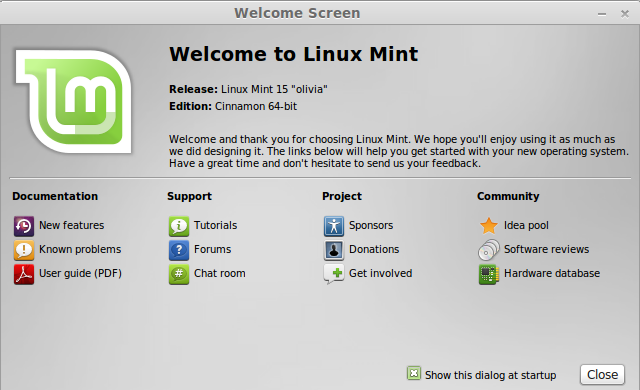 In particular, Linux Mint uses reworked menu system, a private manager to install and upgrade applications, the original interface for system setup mintConfig, means for performing backup mintBackup etc. The size of the boot iso-image is 970 MB. The distribution can run on systems with 384 MB of RAM, but for the comfort of the recommended 1 GB of RAM. – Other changes characteristic of packet-base Ubuntu 13.04, for example, the transition to the core Linux 3.8.